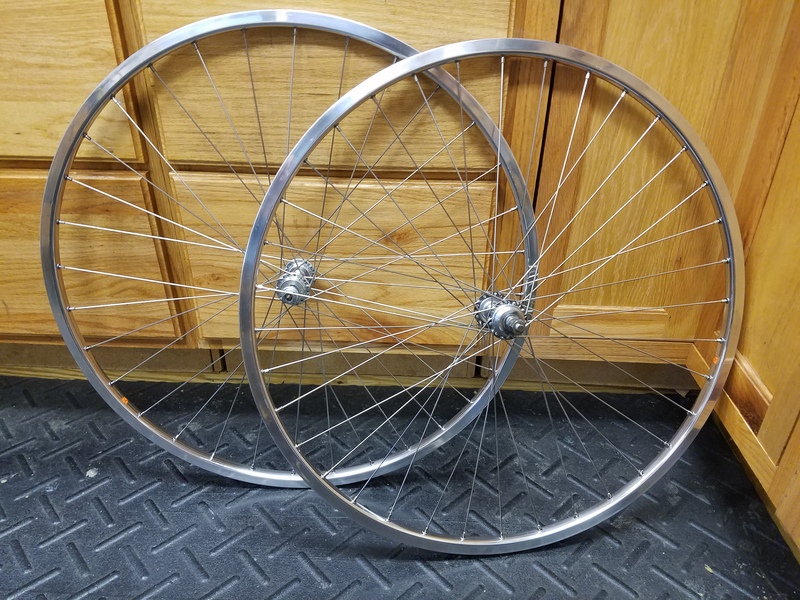 Home/Uncategorized/Another Retro Track Wheelset Build! Just finished building these very cool track wheels! 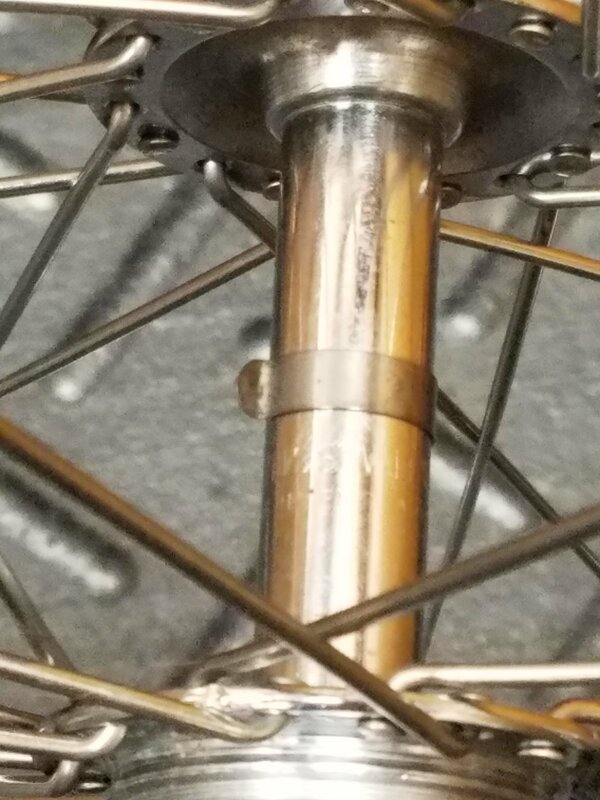 Bayliss-Wiley flip-flop bolt-on track hubs laced to Velo Orange silver box rims. 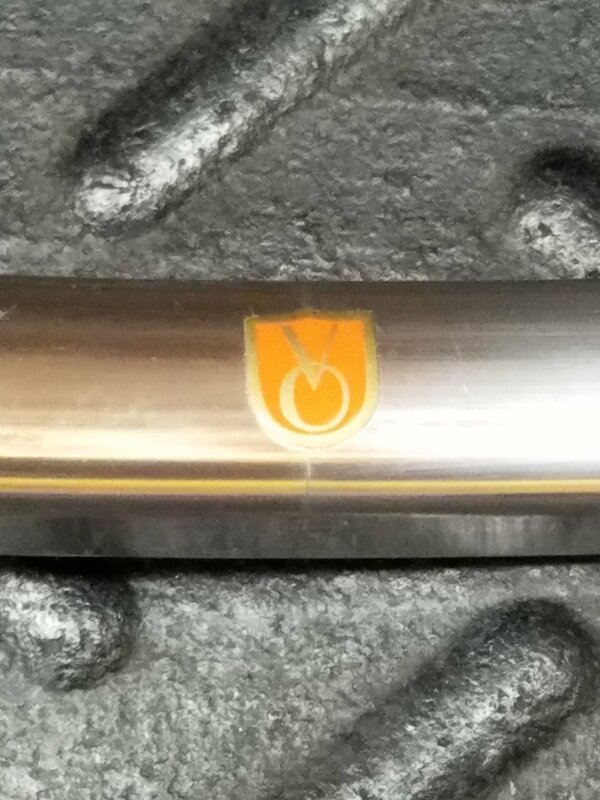 14/15 gauge rear spokes with 15g custom cut front spokes. How many shops in Atlanta can do this? Nice wheels!